Basic Decription: She has always been a very reliable boat. 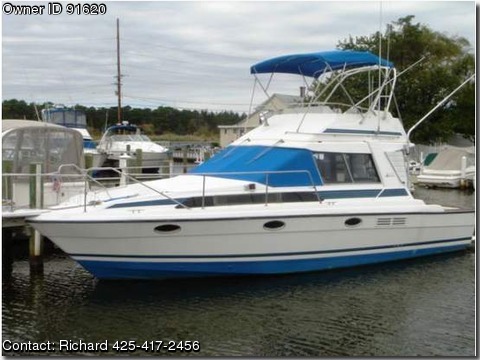 Great for the family or a perfect 6 pack Charter boat. All Twin Disc trans 502's trolling valve, Electronic controls up and down, chart plotters 2 radars, auto pilot,nobeltec and lap top, new generator, stainless risers. Low hours ready to fish. I also have a 41' covered boat slip for sale as well.